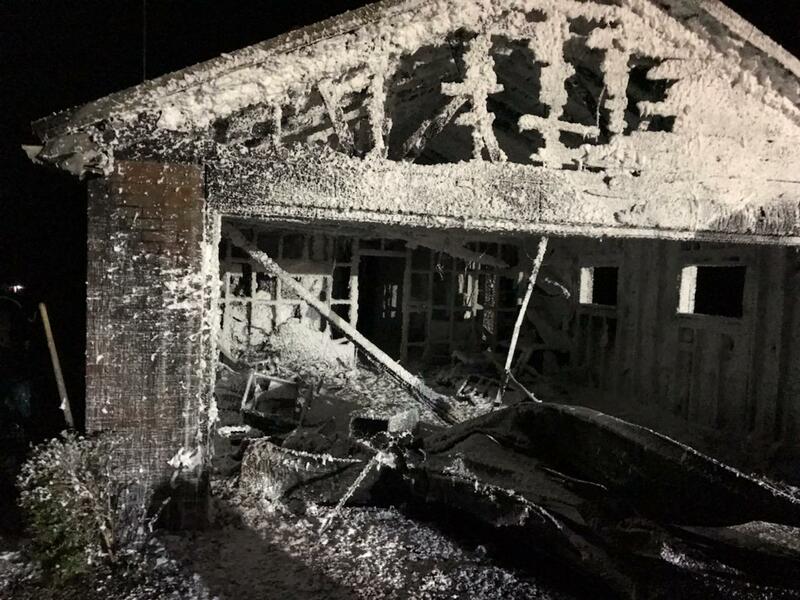 PARKER TWP., Pa. (EYT) – Fire Departments from Armstrong, Clarion, Butler, and Venango counties responded to a residential blaze Sunday evening in Parker Township that sent one woman to a local hospital. According to representatives of Clarion 9-1-1 and Butler County 9-1-1, the initial call for a structure fire at a residence on Kittanning Pike in Parker Township, Butler County, was received around 7:15 p.m. Multiple Agencies from a four-county area were dispatched to the scene, including Bruin Volunteer Fire Department, Parker City Volunteer Fire Department, St. Petersburg Volunteer Fire Department, Perry Township Fire Department, Emlenton Fire Department, East Brady Volunteer Fire Company, Knox Volunteer Fire Company, Callensburg Licking Twp Volunteer Fire Company, Clintonville Volunteer Fire Department, West Sunbury Volunteer Fire Department, Chicora Volunteer Fire Department, Petrolia Volunteer Fire Department, North Washington Volunteer Fire Company, Eau Claire Volunteer Fire Department, Marion Township Volunteer Fire Company, Meridian Community Volunteer Fire Company, Sugarcreek Township Volunteer Fire Department, and Southern Clarion County Ambulance Service. According to Eric Feicht, Chief of Bruin Volunteer Fire Department, the fire is believed to have originated from a vehicle in the attached garage of the 1.5 story brick residence. “The majority of the fire occurred in the garage, but there was some extension into the house,” Feicht told ExploreClarion.com. Feicht said the homeowners were able to escape the structure safely, but one female resident was transported to Butler Hospital for smoke inhalation. According to Feicht, while the attached garage was a complete loss, the residence mostly sustained heat and smoke damage. The scene was cleared at 11:23 p.m.